Blacknight CEO Michele Neylon is scheduled to speak during several sessions at Domaining Spain, the domain conference dedicated to the European market. The event will take place May 8-10, 2014 and is being held at the Sorolla Palace Hotel in Valencia. Domaining Spain is in its third year and features over 20 international speakers and 120 top executives from 20 countries. This year’s agenda will focus on the new gTLD market. On Friday May 9, 2014 Michele Neylon will speak on or moderate three separate sessions. The first is called “Buy, sell, or lease a Domain -What has to be taken care of in a transaction without problems.” During this session, Neylon will be joined by Paul Raynor Keating ESQ. Neylon will then moderate the panel Trust in New gTLDs featuring Andrea Beccalli of ICANN, Ronald Schwärzler of .wien and Carolin Silbernagl of .hiv.The third and final Neylon session is titled “Registrars and New gTLDs” with Daniel Eisenhut of EuroDNS. 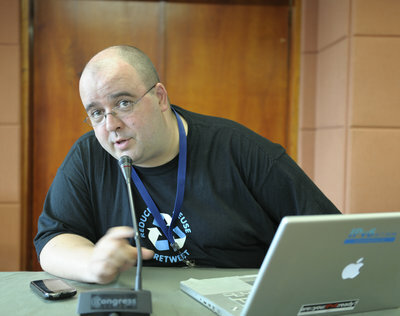 Neylon plans to speak at length about issues with ICANN’s RAA and how it impacts the European market. While the conference will largely touch on New gTLD issues, the entire range of the domain industry will be covered. Additional session topics range from gTLD branding to Bitcoin.